Sennheiser SC 45 USB MS Wired Headset is a single-sided corded headset that can be connected to device through two means, USB connectivity and 3.5 mm jack. These connections help the device be easily connected to other devices, including PCs, tablets, and smartphones. 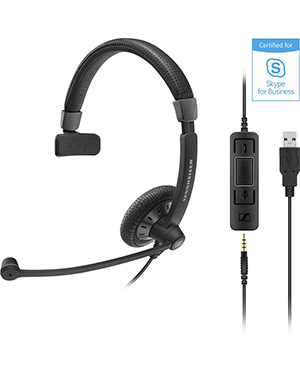 This headset is certified for Skype for Business, which is very important for business and professional usage. This headset helps users in being able to communicate and work effectively even when in a dynamic and busy environment. 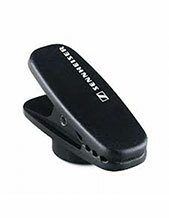 Sennheiser SC 45 USB MS Wired Headset, structured in an elegant design, has a comfortable and contemporary style. This headset is not just excellent to look at, making it perfect for professional settings and environments; it is also comfortable to wear. 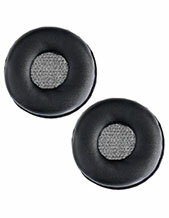 With the combination of a lightweight headband, leatherette padding, large acoustic foam ear pads/soft removable leatherette covers, the device can easily be used for an entire day, without feeling any discomfort in the process. 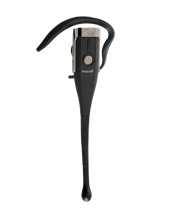 Sennheiser SC 45 USB MS Wired Headset is the best device for users looking for a solution that can quickly be adopter in the communication foundation in a smoothest deployment possible. It is the perfect headset for users transitioning to new technologies and wanting to maximise the potential of the Unified Communication platform installed in their system. Take out your phone and talk to our company representatives. Dial our hotline now at Australia wide 1300 131 133! Sennheiser, headquartered in Wedemark, Germany, and headed by CEO and Chairman of the Board Daniel Sennheiser, is one of the frontrunners in the development and manufacture of high quality audio products and solutions. The company was founded in June 1, 1945 by Dr. Fritz Sennheiser with the help of seven (7) electrical engineers from University of Hannover. It has approximately 2,183 employed experts and has several subsidiaries, including Georg Neumann. Sennheiser has always aimed to be able to contribute in shaping the audio of today’s society, by introducing amazing technologies and functions that can help in improving audio and sound experience of all types of users in the global market. With this focus and goal in mind, the company has established a culture of innovation and offers nothing but passion for excellence in its operations and product portfolio. Sennheiser does not only offer the best innovated technologies and devices there is, it is also responsible for setting the fire on the trailblazing trends in the audio industry today. Headsetsonline Pty Ltd is an Australian online store that showcases a powerful product portfolio comprised of brand new, second-hand, and refurbished products and solutions. And all of these products and solutions are sourced from Australian distributors and not just grey imports. This ensures that all of the products have warranties that are covered in Australia, as well as certified with Australian standards. Headsetsonline makes sure that its customers are prioritised in its operations, considering how the company ensures that all deliveries have flat shipping rates. This means that wherever the customer may be in Australia, the shipping rate remains the same. More than that, it also ensures that there are no additional charges and hidden fees, especially on large orders that would seem to be insignificant. Headsetsonline conducts a lot of its transactions through its enterprise encrypted secured website, Headsetsonline.com.au. The company starts with HTTPS and has GeoTrust True Business ID with Extended Validation that protects the online shopping of customers.